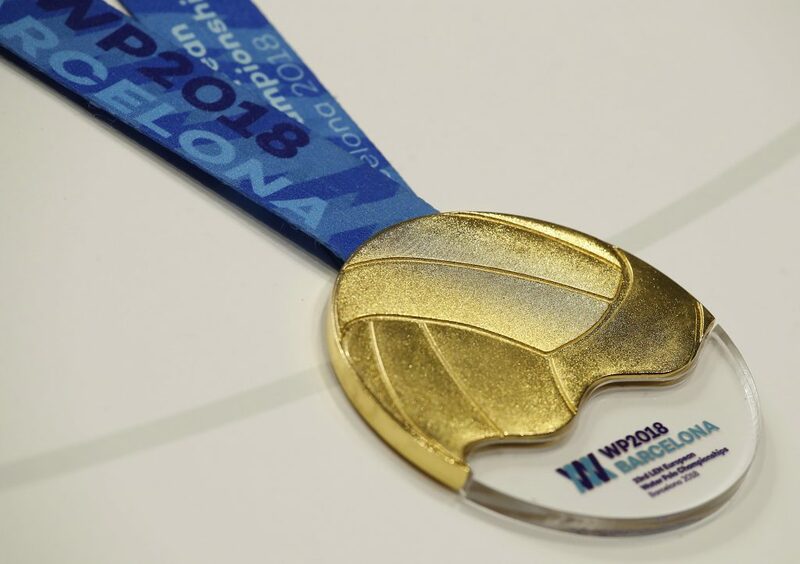 The medals of the 33rd LEN European Water Polo Championships Barcelona 2018 will be made of acrylic glass and steal and will represent a water polo ball in the water. 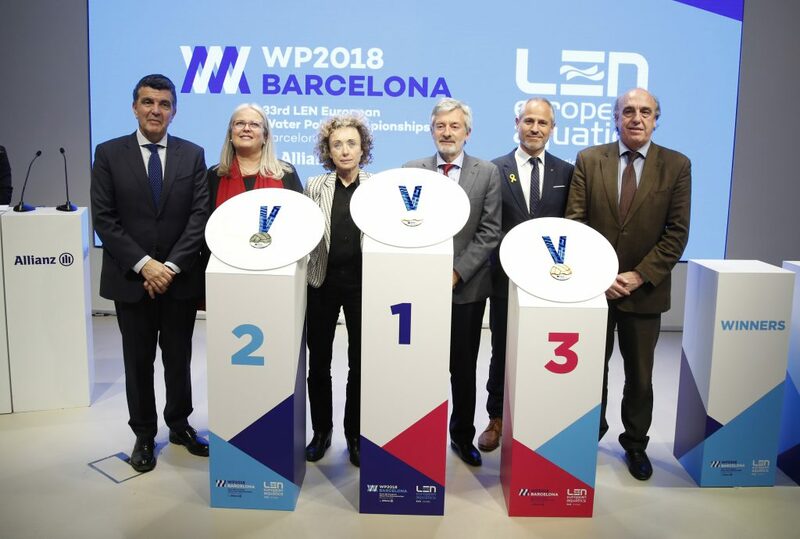 This afternoon, Barcelona 2018 unveiled the medals in an event held at the Allianz Tower Auditorium in Barcelona, in front of the members of the Organizing Committee and the General Manager of the main event partner, Cristina del Ama. The presentation, conducted by Barcelona 2018 Ambassador Jennifer Pareja, was attended by the President of the Organizing Committee, Fernando Carpena, and the two Vice-Presidents, Marta Carranza and Enric Bertrán, as well as the Sports Deputy of the Barcelona Deputation, Maite Fandós, and the Deputy Director of the Catalan Sports Council, Oriol Marcé. Todotrofeo, the company managed by Abad in Ibi, Alicante, has a proven track record in the design and production of medals for marathon races, and among its clients are the most prestigious marathons in Spain (Valencia, Barcelona, Seville, Madrid…) and London. Miki Oca, coach of the Spanish women’s national team, showed his support for the organizing Committee and attended the event along with several members of the team: Clara Espar, Marta Bach, Paula Crespí, Alejandra Aznar, Mª Elena Sánchez and Helena Lloret. Alberto Barroso, Miguel de Toro, Marc Minguell and Eduardo Lorrio came on behalf of the men’s squad. Allianz Seguros hosted the event as part of the partnership agreement with the European Championships. 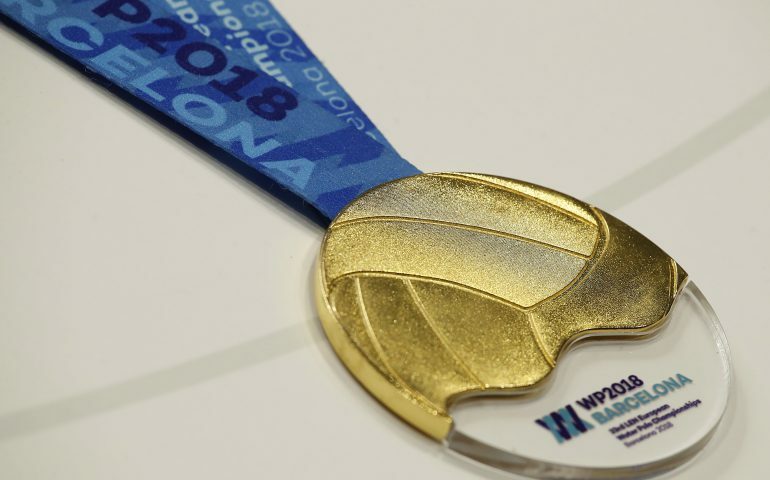 The Championships will take place from July 14th to 28th at the Bernat Picornell Pools and will feature the top European squads, 16 men’s and 12 women’s.